Good Stuff NW: Are You Ready for the Big One? Put a pair of shoes under your bed at night along with a pair of work gloves and, if possible, a hard hat. 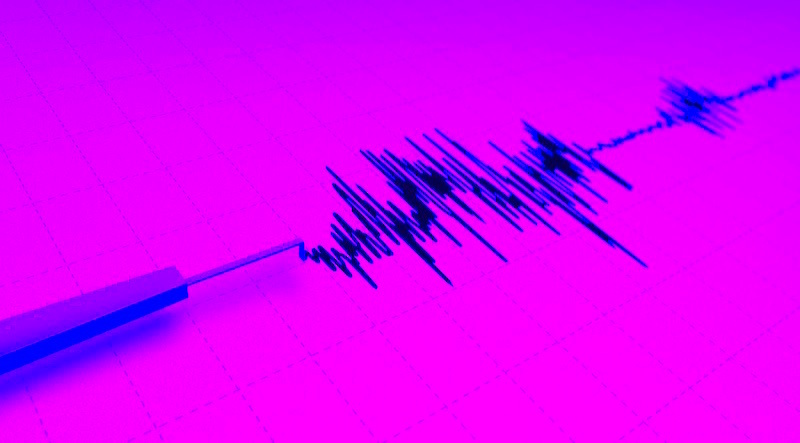 It's one thing you can do to start preparing for the large earthquake that's predicted to hit the Northwest in the next 50 years. 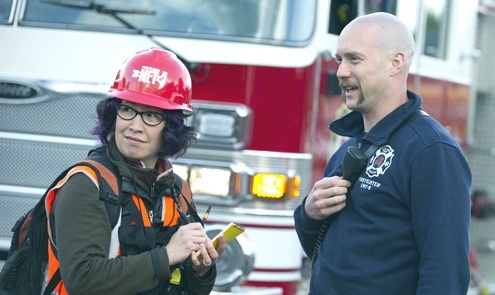 I found this out from my neighbor, Deborah Pleva, who's part of a volunteer network of trained Neighborhood Emergency Team (NET) leaders for Portland. According to the NET website, "in the event of a citywide or regional emergency such as a severe winter storm, flood or major earthquake, households need to be prepared to be on their own for at least a week." Volunteers like Deb "will likely be first on the scene when firefighters and police are slowed by impassable streets or overwhelmed by calls for help." Reading about a major earthquake or listening to a recent Oregon Public Broadcasting report called "Unprepared" left me feeling pretty helpless in the face of a major disaster. How could I afford to buy, much less safely store, the two weeks' worth of supplies and water that my family—not to mention the pets—would potentially need in the face of such an event? If it happened on a weekday, how would my husband get home from work if bridges are out and roads are blocked or destroyed? Daunted by this overload of questions, retreating into denial, my usual default when overwhelmed, seemed like a good option. But talking with Deb, knowing that there's a network of neighbors working together to help each other get through a major disaster, made me pull my head out of that river in Egypt. "It's a process of baby steps," she said, like putting shoes under the bed to protect your feet from glass from broken windows caused by an earthquake during the night. Rather than thinking about putting your disaster kit together in one fell swoop, she said, every time you go to the hardware store pick up one item for the kit. A big advantage of making a plan with neighbors is that an inventory of skills and equipment can be made, as well as determining if there are neighbors with special needs who might need help in a disaster. It's also important to find out where shutoffs for gas and water are located on your street to prevent further injury and loss of life in the absence of help from the city. Deb said that making neighborhood disaster plans can lead to other types of connections between neighbors, like the street where a group of seniors got together as a result of the meetings. The whole point, though, she said, is "not scaring, but empowering people with the things they can do" to meet a challenge together. PrepOregon.org helps Oregon residents get ready to come through a major disaster and recover quickly by providing practical information on getting ready for any potential emergency, from storms and power outages to floods and earthquakes. Download the Preparedness Handout, which has great information on what to do in a disaster. 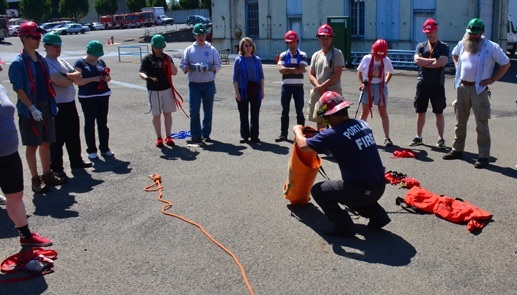 Neighborhood Emergency Teams are Portland residents trained by the Portland Bureau of Emergency Management and Portland Fire & Rescue to provide emergency disaster assistance within their own neighborhoods. 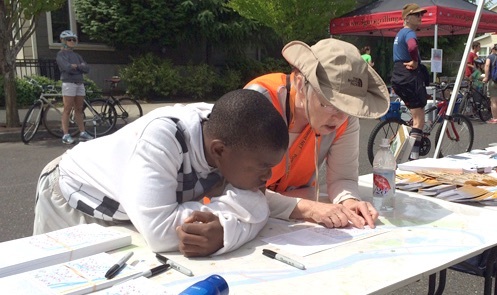 You can register to become a NET volunteer or find out if your neighborhood has a NET leader. Photos of NET training from its website.